Everybody wishes to be rich someday. We all want to live a lavish life that can fulfill all our desired wishes and dreams, like, going on an exotic vacation, buying a sports car, traveling the world, or buying a dream house where we can grow old. What if we tell you that other than fulfilling your above wishes you can also spend your money on some seriously expensive foods. 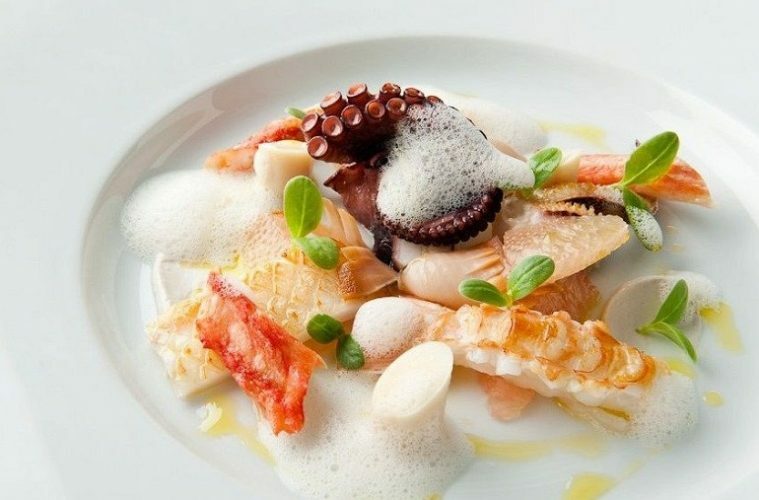 These mouth-watering dishes are among the world’s costliest, rarest and top of the charts in the menu of foods. Some are even rare that they have to be ordered weeks in advance. Before you start reading about these classy dishes make sure you are on a full stomach to avoid being tempted. Get ready to have a heavenly experience just by a mere glimpse of these world famous food dishes we simply can’t afford. No, it is not an artificial plant that we use for decoration, instead, it is the dish from the very same Krispy Kreme we all know and love. This dish first debuted at Selfridge’s in London. 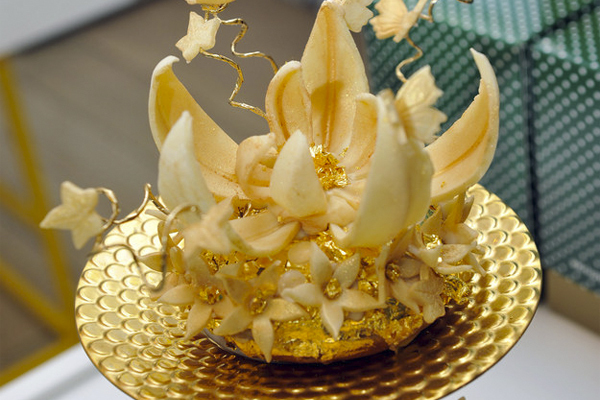 This donut cost around $1,682. But what makes this dish so expensive? This is because at the top it is covered with 24-karat gold leaf, passionfruit-raspberry syrup, 2002 Dom Perignon, and Courvoisier cognac that’s hundreds of years old. If all of this wasn’t enough to make the dish this costly they even decorated it with gold-dusted diamonds of Belgian white chocolate. If this hasn’t amazed you enough then keep reading and get shocked by other astonishing dishes. Don’t let the toppings distract you because under this toppings is the most expensive omelet, served at Norma’s Restaurant in New York City. This dish cost around $650 and if you are amazed by the price of this dish then don’t be. 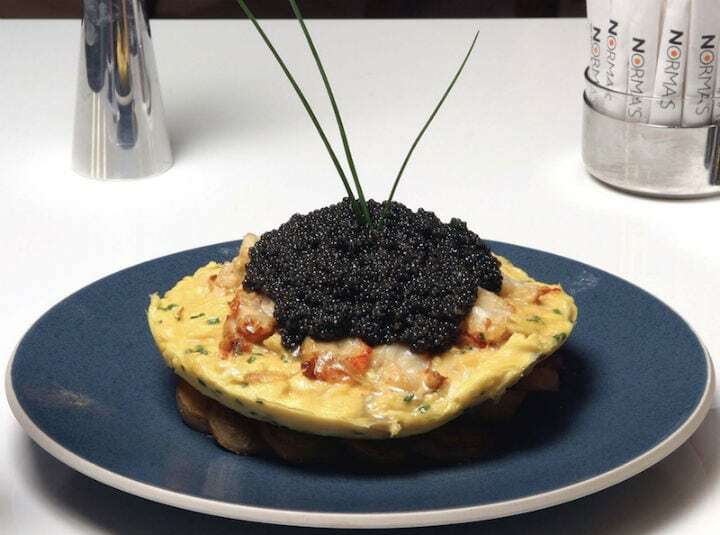 This is not just a regular omelet that we eat but it’s smothered with a pile of lobster meat and caviar from the American sturgeon. Hungry yet? We all love a good taco that we usually buy from the food trucks that are parked near our house or workplace. Now behold for the world’s most expensive taco that cost $25,000 only. Yes, you read the cost right. 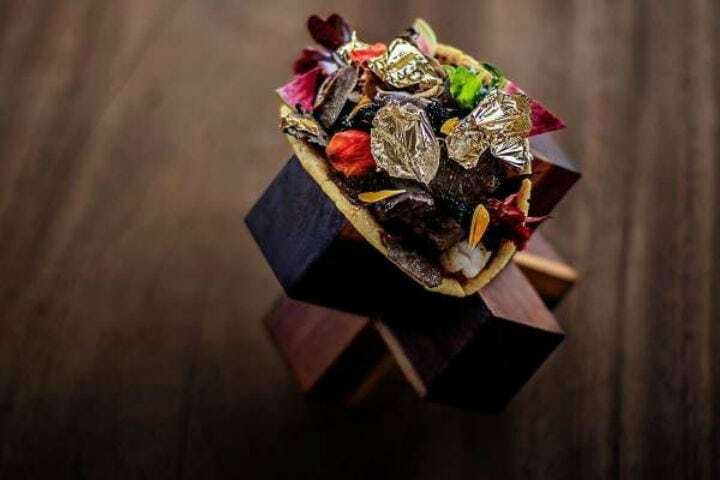 Not only this taco is covered with flakes of gold, but also has pricey Kobe beef, Almas caviar, brie cheese from the black truffle mushrooms, scampi lobster, tequila, and chili. This taco is packed in one corn tortilla shell, but it is the civet coffee which makes it the most expensive taco in the world. This rare brew is made when the Asian palm civet cat eats the coffee cherries, digest it and then break them down. This $666 dish is called the douche burger. Why so? 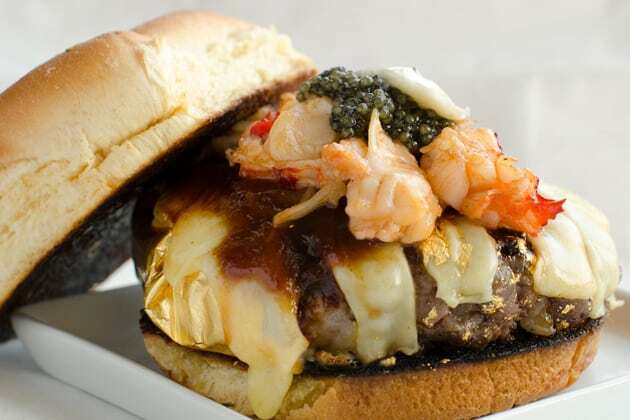 Because it has Kobe beef which is very expensive, and top of that other ingredients include: lobster, caviar, foie gras, truffle mushrooms, imported Gruyere cheese, barbecue sauce made from civet coffee and don’t forget that the cheese is melted using the steam from boiling champagne. It is made and served by the New York City food truck that wants to make you feel super fancy and exclusive. 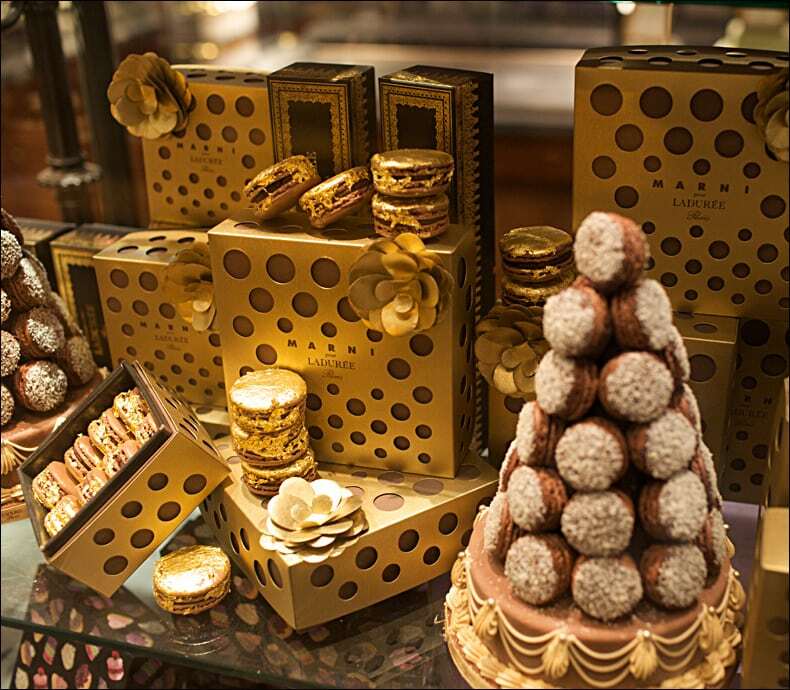 People who have visited Paris must know about the famous Laduree bakery and for those people who plan to visit Paris someday, remember to stop by at this bakery on the Champs-Élysées. This place serves high tea with your choice of macarons. Though getting a table might take a while because of the crowd that comes here to taste pricey little pastries. But nothing beats Macarons, which has a gold leaf coating that melts inside your mouth the moment it touches your tongue leaving behind the taste that will make you want more. But the price is an issue here as the Macarons cost $100/piece. If these foods haven’t made you hungry enough then keep reading and stay amazed because next few are pretty incredible. Ah! A sushi roll. What do you do when you see a sushi roll? I bet, you just want to eat as quickly as possible, right? But this is one roll that demands you to truly appreciate it and enjoy every bite. What is the cost? You ask. 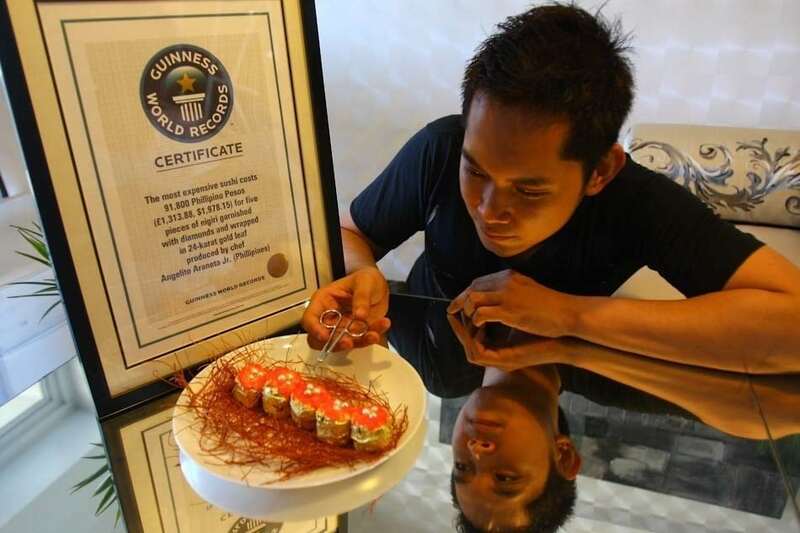 This sushi roll is priced at $1,800 and it is even in the Guinness Book of World Records. Let us tell you, it is not about the fish but because of the Norwegian pink salmon in the roll, foie gras, crab and gold leaf paper. Along with rare saffron strands, they add pearls and diamonds too on the rolls that are placed really carefully. So now, do you get it why this roll is so expensive?